“Can I help you, Poppa?” asks my 3-year-old son, Zephyr. Looking down, I see him staring up at me, a hopeful look on his cherubic face. Like I could turn down such enthusiastic assistance from someone I consider to be the cutest kid in the world. A moment later, he’s standing on his little yellow plastic chair alongside me. Whether we’re making dinner, baking cookies or trying a new recipe for spice-infused simple syrup to sweeten my morning coffees (and nighttime cocktails), I’m happy to have him be a part of the process. “Does this taste delicious?” I’ll ask, because I want to give him a sense of ownership in what we’re making. He definitely lets me know when something isn’t up to his pint-sized standards. The critiques sting sometimes, but I get over it. I’m a big boy. If I’m frying some Hormel® Black Label® pecanwood bacon or have the KitchenAid mixer going full bore, it’s my job to make sure learns about the inherent dangers of cooking. But that doesn’t mean he can’t get his little hands dirty. I put him to work whisking together ingredients or chopping up others using a disposable plastic knife. 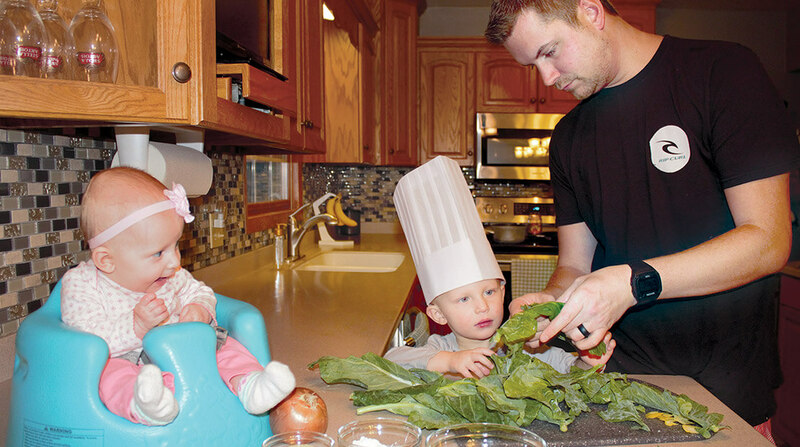 We asked employees what their favorite ways are to cook with their kids in the kitchen. With a family of two working parents, weekends are our time to get the most out of family time. Our 5 year old, Claire, loves to help out in the kitchen as much as possible—we just hope that continues when she gets older! We have a step stool for her so she can help us out, whether it be by pouring in already-measured-out ingredients, mixing or assembling a sandwich or lasagna. Her absolute favorite thing is to bake cookies! 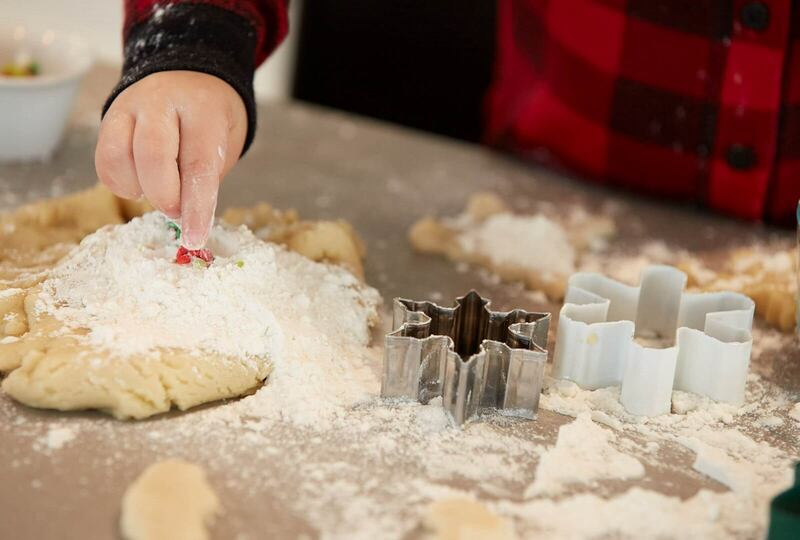 Her two grandmas got her started pretty young by reserving time during visits to their houses for cookie baking. 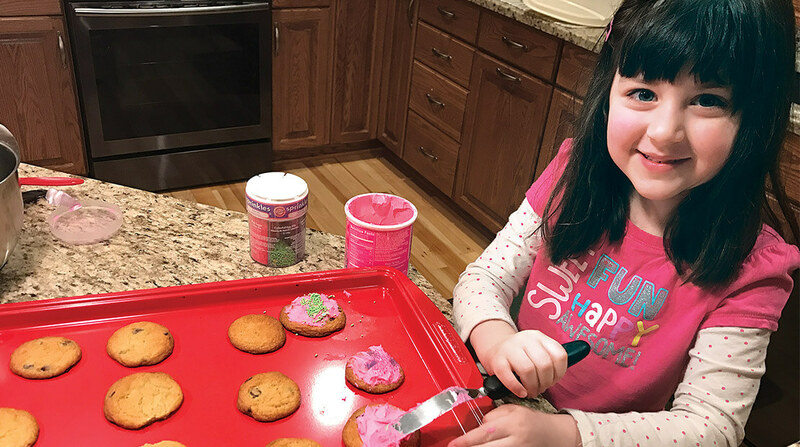 Claire learned at age 2 how to roll out cookie dough, cut out shapes and most importantly, decorate with frosting and sprinkles! Even peanut butter and chocolate chip cookies taste better with frosting and sprinkles to her. We also have a 1-year-old who has increasingly become curious when we are in the kitchen and wants to see what is going on. We will pull up her high chair and give her some measuring spoons and cups to play with as she watches. Ashley is a senior cost analyst for Hormel Foods and Chad is a senior packaging scientist at Hormel Foods. Kinley & Gemma Kirchhoff enjoying pizza. Our kitchen is where we spend most of our family time. As parents, we love having the kids’ company while we make meals. The kids will often color at the table while we talk and get ready to eat. Kinley and Gemma really love being part of food preparation. Like a lot of other kids, pizza is one of their favorite foods. 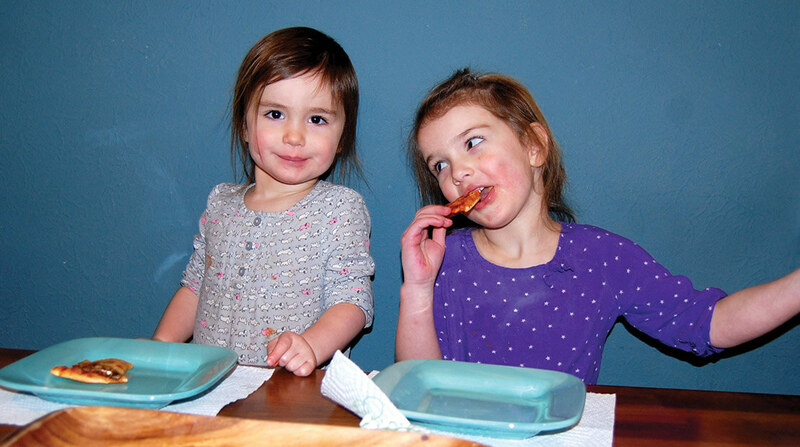 The girls take their time perfecting their own creations, and they get so excited to see—and eat—the finished product. Even though it creates more messes, the memories made are well worth the extra cleanup! Not pictured is little brother Oliver, who would probably eat pizza for every meal if he had the chance. Adam is an applications team leader in IT at Hormel Foods. Brett & Maverik Asleson preparing vegetables. 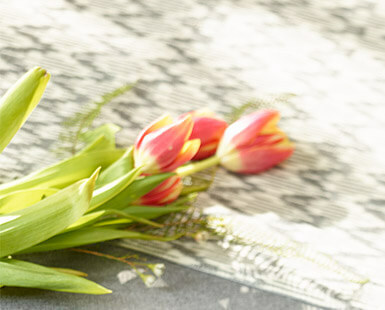 Weeknights can be hectic for families with small children, and our family is no exception. Keeping our 2-year-old, Maverick, entertained while preparing dinner was challenging at times, so we decided to get him involved. He loves to help around the house and getting him involved with cooking dinner has been a fun process. He likes to help wash vegetables and mix ingredients, and he loves to season the food as it cooks. These small steps give him a sense of ownership in the whole process. 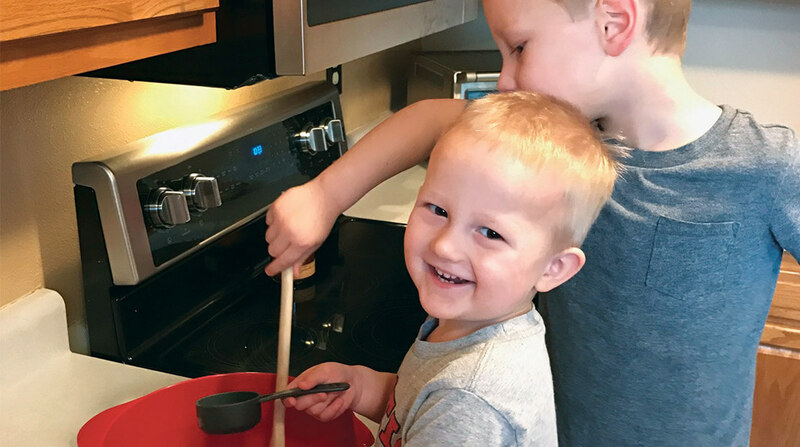 When dinner is ready, he gets excited because he feels like he made it, and he is much more willing to try new foods when he has a hand in cooking them! Cooking dinner at home with him has become fun for all of us and something we look forward to at the end of the day! Brett is a national sales manager for health care in Hormel Foods foodservice and Jessica is a marketing project coordinator for Hormel Foods International Corporation. 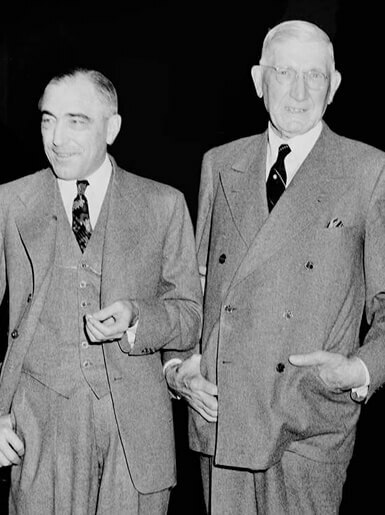 The Zielkes preparing banana bread. Dan is a human resources coordinator at Osceola Food. Samantha Pollock preparing an omelet. I love to cook and my kids love to cook too. It’s messy and tasty, but my kids love to be involved and connected. 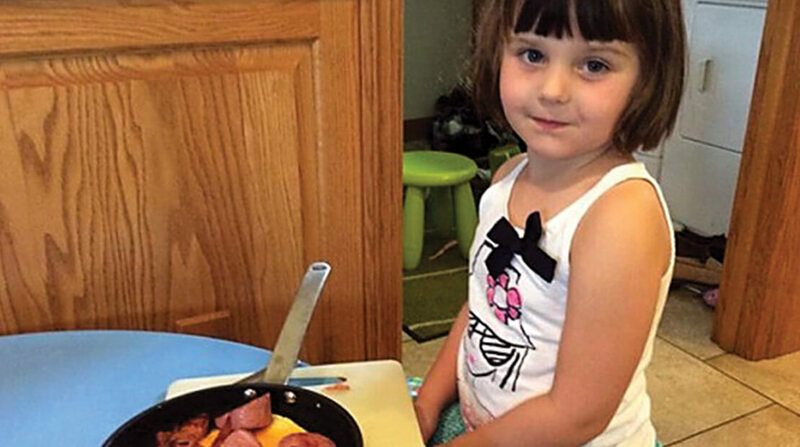 Cracking eggs is always fun for kids, and a SPAM® omelet is a favorite breakfast item on weekends. Our favorite dessert dish to make together is a pavlova, which is a base of cooked meringue loaded with whipped cream, fruit and pieces of milk chocolate and white chocolate. My daughter Samantha really stopped me in my tracks one Saturday whilst we were cooking, at 4 years old she grabbed an egg out of my hand and said, “I can do this, Mom!” She proceeded to crack and separate the yolks from each egg white into the two separate bowls, egg after egg with professional precision. I guess she had been watching her big brother Rory and me very intently in previous pavlova cooking occasions. For my birthday, both children together made a pavlova by themselves, only needing help with the oven—not bad for a 4-year-old and 9-year-old. 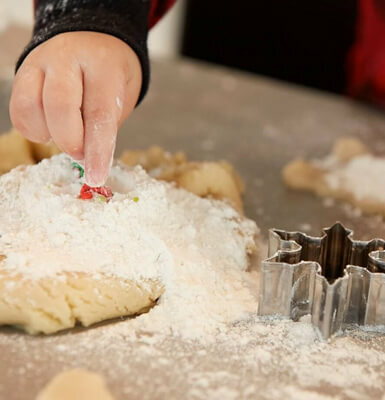 I made my first pavlova when I was 13 years old, so it is fun to pass on these traditional recipes to my kids. I hope that in this world of technology, my kids can still feel connections and build confidence through cooking. We love to create good food, eat and share with friends and family, either in person or with those in the UK 4,000 miles away on social media. Marianne is a marketing director for Hormel Foods International Corporation.